Please note, the Phoenix Slotcar Group Melbourne website has been updated, therefore if pages look out of alignment simply refresh your browser to reload the new content. Looks like fun, how do I become a member? Feel that you have what it takes and are ready for the challenge, then contact Phoenix today. 1:32 & 1:24 scale slot car racing on routed wooden tracks with computer timing systems. timed races, fuel Races, team races & Enduros under lights. Great guys, Awesome fun! Phoenix Slot Car Group race a variety of different 1:32 scale slot car classes. Brands include: Ninco, Fly, Scalextric, SCX, NSR and Carrera. 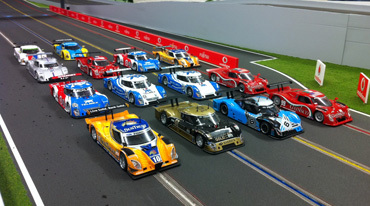 Phoenix SlotCar Group Melbourne race a variety of 1:24 scale classes on various chassis including: Plafit, MJK, BRM & Scaleauto. 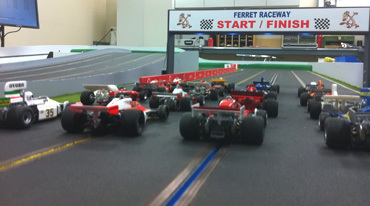 Phoenix Slot Cars race on routed wooden tracks which comprise of 3 and 4 lanes. Click on the button below to check out some of our layouts. 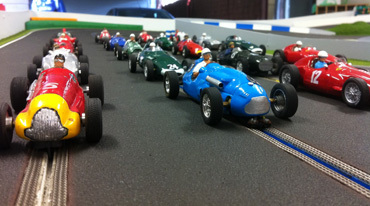 Established in 2006, Phoenix Slot Car Group Melbourne is run by slot car enthusiasts for slot car enthusiasts. Comprising of six routed wooden tracks, we race both 1/32 and 1/24 scale slot cars. Our philosophy is to have fun while enjoying close and exciting racing, in which all skill levels are welcome to participate. Fix it nights are also arranged in order to assist both existing and new members wishing to learn the tips and techniques on tuning their cars. If you feel that you have what it takes and are ready for the challenge, then submit our Enquiry Form. We are always happy to meet new slot car enthusiasts. Phoenix Slot Car Group Melbourne race approximately 24 different 1/32 scale slot car classes, 5 retro classes as well as variety of 1/24 scale classes. Race events are held at different locations around Melbourne on routed wooden tracks with computer timing software. Formats include: Timed, Fuel and Enduros. Our categories include: Group C, Nascar, Formula 1, Le-Mans, Rally and Touring cars just to name a few. We also invite scratch built models and of course every bodies favourite: Aussie V8’s. Race events are usually held on either Saturday afternoons or evenings and include Pizza or BBQ.